There are few people in the world who are unaware of the beauty of Gulmarg, a town and hill station in Jammu and Kashmir, the northernmost state of India. Gulmarg, meaning the meadow or valley of flowers, is amongst the Himalayas and is quite close to the Line of Control that separates India and Pakistan. It is located in the Baramulla district of Jammu and Kashmir, at an average height of 2,690 metre, and is 52 kilometres away from the capital city of Srinagar. Gulmarg is an extremely popular tourist destination as it boasts of a beautifully picturesque view — on one hand you can see the breathtakingly beautiful snow-capped mountains and on the other hand, you can also savor the colorful fragrant colors filling the air. In fact you will find this view only in Gulmarg. 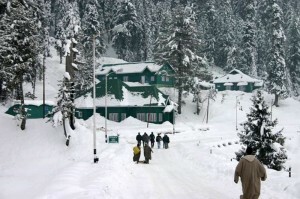 The peak season in Gulmarg begins with the snowfall in December and continues till April. Gulmarg was a frequent destination and resort for kings and emperors and Yousuf Shah Chak and Jehangir visited this place frequently. It was also frequently visited by the British when they ruled in India. 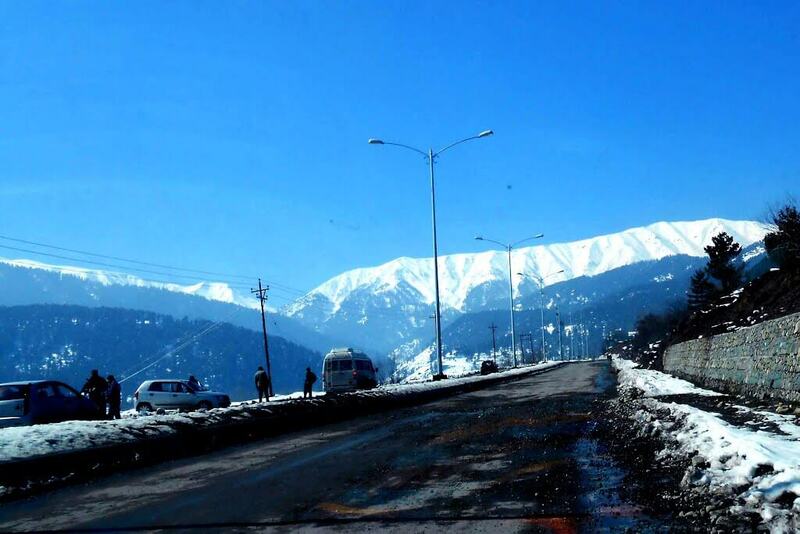 Earlier, Gulmarg was known as Gaurimarg, meaning the land of Gauri, Lord Shiva’s wife. Later, Yousuf Shah Chak renamed it as Gulmarg, meaning the land of roses. From many travel blogs and articles, we come to know that Gulmarg houses a variety of flowers such as bluebells, daisies, forget-me-nots and Buttercups. Gulmarg experiences cooler nights all throughout the year and warmer days during April to August. During the winter season, climate is usually extreme as the average high and low temperature dips below the zero degree mark. It receives heavy snowfall in the winter season. Interestingly, Gulmarg is home to only hotel employees and guests and there are no permanent residents. Gulmarg is surrounded by the Afarwat hills of the Pir Panjal range of the Himalayas and this entire hill is guarded by the Indian Army all the time. The Indian Army personnel are visible everywhere in Gulmarg. They may frisk Tourists midway on the access road at 3 places. If you’re in Gulmarg, all you will get to eat is the delicious Kashmiri food. Kashmiri cuisine instantly takes you to the world of aromatic and divinely tasty food that includes yummy vegetarian and non-vegetarian food. Kashmiri cuisine has quite a deep influence on the food of Kashmiri Pandits, the most Kashmiri Pandit being Pandit Jawahar Lal Nehru himself. Though the Pandits are not meat-eaters, the Kashmiri Pandits have always known to love non-vegetarian food. In fact they eat all types of meat, except beef. Some of the dishes that Kashmiri Pandit cuisine is known for are — rogan josh and yakhni. Kashmiris are known tea-addicts and they prepare a variety of tea such as kahwa, and salt tea. While visiting Gulmarg, the usual food that you will be served is the yummy Kashmiri pulao and kahwa or sweet tea. You may also chance upon freshly baked breads and pastries etc. If you’re already convinced that you must visit Gulmarg, then you should know about the lodging facilities that this town offers. 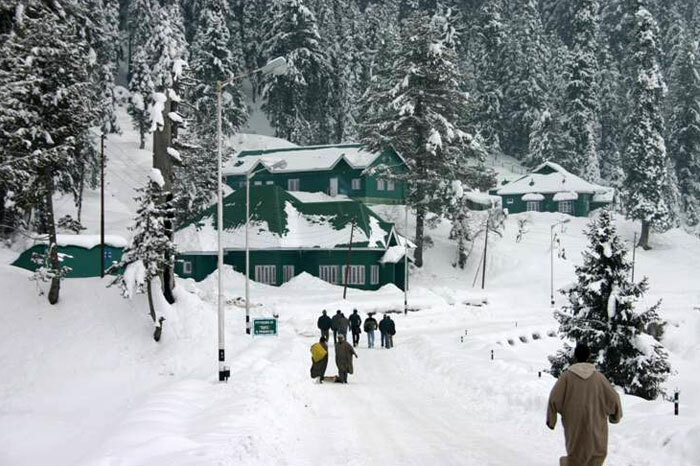 Gulmarg has only about 40 hotels or resorts and since the charges are quite on the higher side, it is advisable to book an accommodation well in advance. And if you decide not to spend on staying in Gulmarg, you could start for Gulmarg early morning and return in the evening. 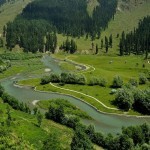 Gulmarg is renowned for its natural beauty. 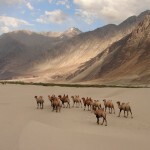 For the adventurous souls, there are a lot many happening activities that they can do in Gulmarg. It is known as the ‘heartland of winter sports’ in India. Gondola ride or Cable car: Gulmarg boasts of one of the biggest cable car riding centre in Asia and the highest in the world, reaching 3979 meters. The ride is divided in two categories — first it travels 2.40 km from Gulmarg to Kongdori in 8 minutes and then it travels 2.65 km from Kongdori to Afarwat in another 20 minutes. You can book this ride from the Srinagar tourist centre. This ropeway is a joint venture of the Jammu and Kashmir government and a French firm. Skiing: Gulmarg is regarded as the best skiing destination in the winter season. The diverse and extreme terrain combined with heavy snowfall provides the best skiing destination in the world. Since Gulmarg is comparatively undeveloped compared to other parts of the world, where skiing is done regularly in the winter season, people need not wait in long queues to wait for their turn. One could easily get 10 turns in a day. Advanced and extreme skiers also frequent Gulmarg for its steep terrain.